They play a vital role in the care of patients before, during and after surgery. But what exactly is an Operating Department Practitioner? Today, on ODP Awareness Day, Phil Darwick, who works for Hull University Teaching Hospitals NHS Trust, explains how ODPs play crucial roles in the care and recovery of a patient undergoing surgery. What is an Operating Department Practitioner(ODP)? 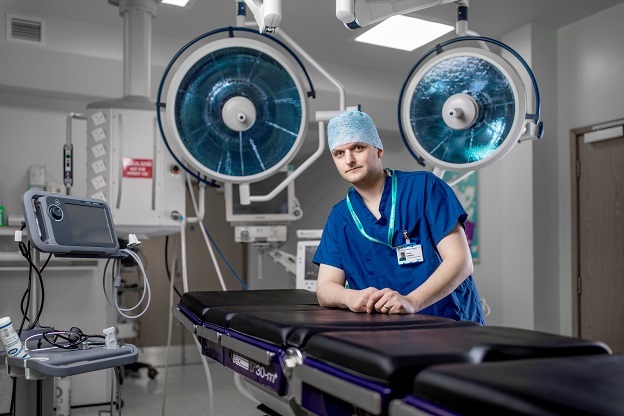 An Operating Department Practitioner (ODP) is a highly skilled member of the surgical team who cares and supports patients undergoing operations at Hull Royal Infirmary and Castle Hill Hospital. They play crucial roles in what is known as perioperative care – so, when a patient is anaesthetised before an operation, is on the operating table and is taken to recovery following surgery. The ODP will help the patient when they arrive in the theatres department ahead of their surgery. They will communicate with the patient, ensuring the care is tailored to their exact needs. They play a key role in reassuring the patient, carrying out checks ahead of surgery and answering any questions a patient may have. They also prepare the equipment which will be necessary during the operation such as anaesthetic machines, intravenous equipment, patient positioning aids, pressure area care, patient warming and emergency equipment. Do they take part in operations? As a critical member of the surgical team, it is the ODP’s responsibility to prepare all the instruments and equipment which will be required during an operation such as microscopes, swaps and knives. During the operating, they will attempt to anticipate the needs of the other members and the team, responding quickly and effectively. They hand the correct surgical instruments and material to the surgeon and provide a link between the team and other parts of the theatre or hospital during the operation. The operation is over. What’s next? The ODPs still have important functions to carry out once the surgery is over and the patient is wheeled to recovery bays in the operating theatres. They support the patient from the minute they arrive in recovery, monitoring the patient’s vital signs such as their heart rate, oxygen levels and blood pressure. They continue appropriate treatment such as ventilation or pain relief until the patient has come round from general anaesthesia and will assess when a patient has recovered enough to return to the ward. Sounds like my dream job. Where do I sign up? 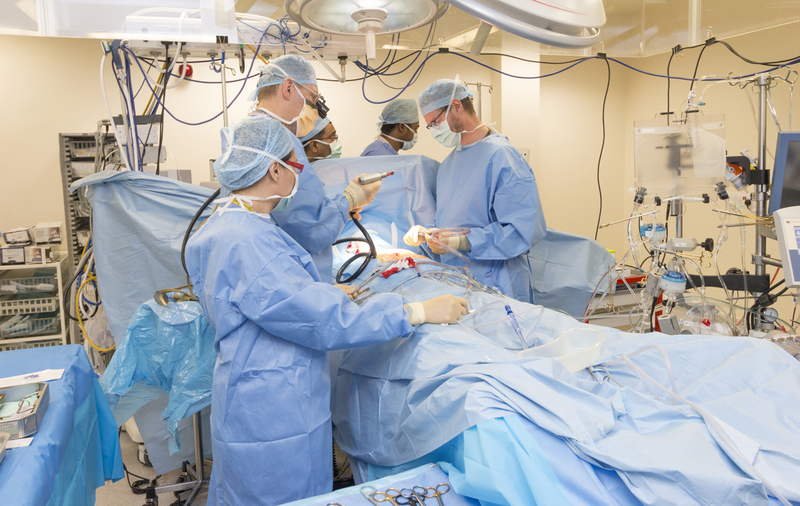 The University of Hull offers a BSc(Hons) in Operating Department Practice, a full-time course lasting three years. Students must be 18 and you need 120 UCAS points which can come from a variety of qualifications. The course fees are £9,250 although students from low income backgrounds can apply for scholarships. You’ll be educated to ‘A’ level or BTEC level, with five GCSEs including English and Maths at Grade 4 or above. Advanced apprenticeships in Health and Social Care, a Health and Social Care Diploma and NVQ Level 3 in Health and Social Care are among the qualifications which can account for UCAS points. Shortlisted applicants undergo an interview to consider their suitability for the role. Developed in conjunction with Hull University Teaching Hospitals NHS Trust and other NHS trusts, the course consists of nine theoretical and eight practice modules. You need to complete each module successfully to gain the professional qualification. But hands-on learning is a key part of the course, with students spending 60 per cent of the course on active placements at Hull Royal Infirmary and Castle Hill Hospital as well as other hospitals in York, Scarborough, Bridlington, Goole and Lincolnshire. Experienced ODPs mentor students throughout their placements, sharing their clinical expertise and skills. Students study to become ODPs at the new £28m health campus including the Allam Medical Building, regarded as one of the finest training facilities in the country. The course has been approved by the Health and Care Professions Council. An alternative route is the University Certificate in Health and Social Care Practice. This is a part-time, one year programme designed for those who lack the academic qualifications to apply for a healthcare degree programme. Upon successful completion, students are eligible to apply for BSc Operating Department Practice (numeracy and study skills modules must be taken as part of the Certificate). How much will I earn once I qualify? A newly qualified ODP starts as a band 5, with a starting salary of £22,128 and the potential to rise through the points to £28,746 as your career progresses. Will becoming an ODP be a good move for my future prospects? Progressing into more senior and managerial roles could see ODPs move into Band 6 and 7 under the NHS’s Agenda for Change contract of terms and conditions. With sufficient education and clinical experience, you could be considered for the extended roles of physician’s assistant in anaesthesia or as a surgical care practitioner, both roles attracting increased salaries and responsibilities.